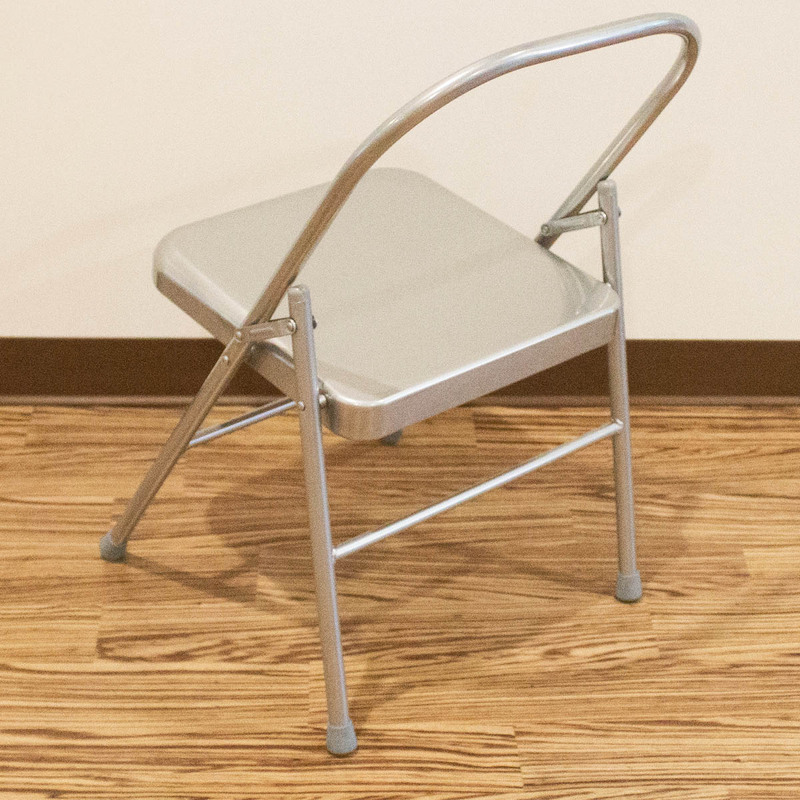 The backless yoga chair is an excellent prop for practicing Yoga. This chair can assist in certain poses such as supported shoulder stands, setubandu, back bends, seated twists, etc. This prop can be used in conjunction with yoga blocks and yoga blankets. CAUTION: Please practice under the instruction of a professional trainer. DO NOT place your hands on the connection plate. The backless yoga chair is an excellent prop for practicing Yoga. This chair can assist in certain poses such as supported shoulder stands, setubandu, back bends, seated twists, etc. This prop can be used in conjunction with yoga blocks and yoga blankets. perfect for supported poses and for those that need assistance with challenging poses. The backless chairs help for backbends such as camel. The conception of a straight back makes them easy to line up the wall. I feel that I can easily secure the chair with a mat and the wall. It really can enhance one's practice. I use it in my classes for challenging poses.